The complaint about "undue influence" on the referendum campaign has been submitted by an independent group, spearheaded by Prof Bob Watt, an expert in electoral law from the University of Buckingham. Though most cases require a police complaint before evidence can be considered by the Crown Prosecution Service, under the 1983 Representation of the People Act the DPP can consider cases of election offences when they are referred to her office directly. A CPS spokesperson said: "We can confirm that this letter has been received and we are currently considering its content." The complaint is being considered by the special crime team, which deals with all election offences. Under electoral law "undue influence" is considered a corrupt practice and includes the use of "a fraudulent device or contrivance" to "impede or prevent or intend to impede or prevent the free exercise of the franchise". The evidence submitted to the DPP cites a 1992 case where members of the Liberal Democrats produced a leaflet headed "Labour News", with quotes from Labour politicians and purporting to set out Labour policies in Tower Hamlets. 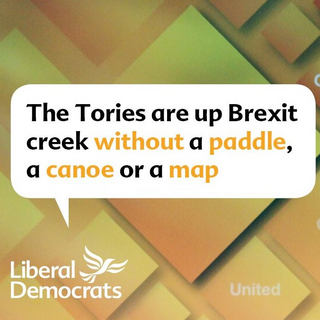 That leaflet was deemed by the courts to be an attempt to mislead voters, though the law at the time did not consider that to be an offence. However, the law was changed by the Electoral Administration Act of 2006, which made an attempt to mislead voters an offence of "undue influence" - although Watt said that had not been tested by the courts so far. Watt and his colleagues who have prepared the case say it centres on "instances where the leave campaigns continued to make assertions of fact that were knowingly misleading", including the oft-cited claim of the EU costing the UK £350m a week. That claim, made by Vote Leave, was contrary to evidence from the Office for National Statistics, Watt said. Other instances cited to the DPP include alleged misrepresentations on pro-Brexit leaflets that Nissan and Unilever supported leaving the EU. Watt also cited Vote Leave's posters that claimed "Turkey is joining the EU", as well as the assertion that "the UK has no border controls whilst in the EU" when billions are spent on the UK Border Agency. Some other cases had been excluded, Watt said, including George Osborne's so-called "punishment budget" in support of remain, because it was "an expression of opinion" rather than a matter of fact. "Whilst that may be considered by some as deplorable, only claims which amount to assertion of fact are likely to meet the test for undue influence," Watt said. "Our primary aim in seeking prosecution is to try to restore some integrity to our democratic processes. "None of us is willing to allow the UK to be dragged down to some kind of populist 'who can lie and deceive the most?' race to the bottom, such as we witnessed earlier this year." If a case was brought successfully, it would not have any bearing on the referendum result or prevent the UK leaving the EU, but could result in criminal punishment of anyone held responsible by the courts for making false statements. Watt said the laws that "protect against corrupt campaigning practices" needed to be imposed. "Ultimately it will be for parliament to decide, based on the court's judgment on evidence that there was undue influence, if that has bearing on whether the EU referendum result should be considered as democratically safe," he said. Although Vote Leave is no longer functioning , the Guardian has contacted Change Britain, its successor organisation, which campaigns to leave the single market, as well as its former chief executive, Matthew Elliott, at his new website Brexit Central asking for comment. Leave.EU has also been contacted. 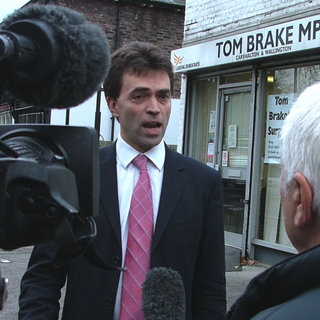 The Lib Dem MP Tom Brake, patron of Vote Leave Watch, said: "It looks like the leaders of the Vote Leave campaign will be needing to spend some of that £350m on lawyers' fees rather than our NHS. "Vote Leave went beyond the normal bounds of political campaigning, telling blatant untruths about our contribution to the EU budget, Turkey joining the European Union, and much more. It's about time they were held to account for misleading the British people."